I had been on the look out for a new base product for the summer months that would be lightweight on the skin while giving a light coverage for my good skin days. 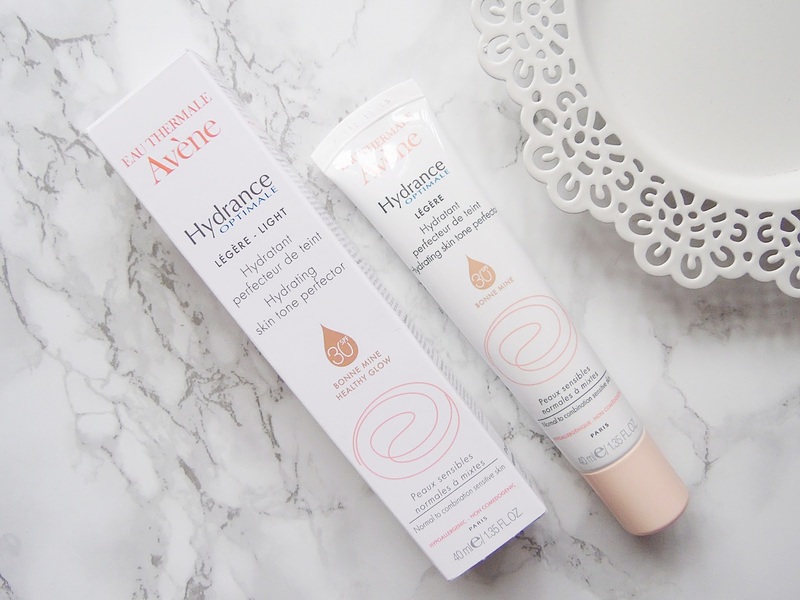 Avene is one of my favourite skincare brands so I couldn't wait to start using their newest product, the Hydrating Skin Tone Perfector. The Avene Hydrance Optimale Skin Tone Perfector is available in two shades and I have the light version. This is specifically for normal to combination skin and it is a mattifying moisturiser which has light reflecting properties and transparent mineral pigments to conceal the appearance of any imperfections. It also has unique colour pigments which adapt to your individual skintone. It has a brilliant SPF 30 making it a great base for the summer and is enriched with the Avene Thermal Spring Water to soothe and calm the skin. This is the perfect product for hot summer days when you want to even out your skin tone, add a tiny amount of coverage while keeping your skin protected from the sun. What I like about this product as it does look a slightly darker shade when you apply it but as you work it into the skin it adapts to your skin tone while making you look glowy all year round. It has a very hydrating formula but doesn't feel oily or greasy on the skin making it perfect for dehydrated skin to lock in some extra moisture in your base product. A small amount of this goes a long way and I find it best to be applied with a damp beauty blender for an even coverage. It definitely has a light coverage so I like to use this when I am having a very good skin day to even out any discolouration or redness and it does a great job. It also has blurring properties which are great for hiding my pores. This does leave the skin looking naturally radiant but I like to set it with a powder to make it last longer throughout the day. This is going to be a must have product this summer, I can already tell. The Avene Hydrance Optimal Skin Tone Perfector retails for £16.50 - HERE.